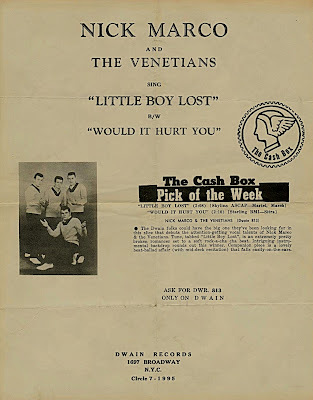 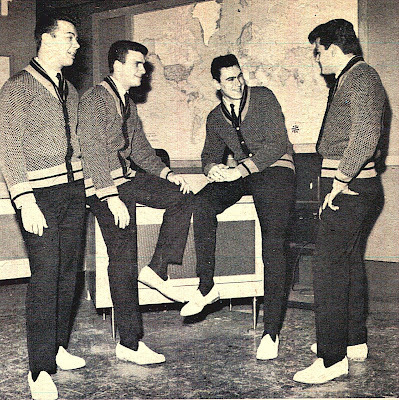 When Les Ledo broke with the Consorts(see in this blog) the rest of the group was managed by The Mystics manager Jim Gribble and took a new name,Nick Marco & The Venetians. 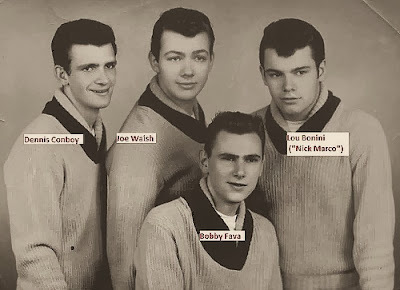 The group consisted of Lou"Nick Marco"Bonini from Jersey City,NJ. 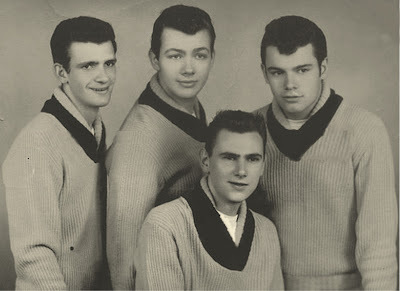 as new Lead with Joe Walsh,Danny Conboy and Bobby Fava all from Manhattan. 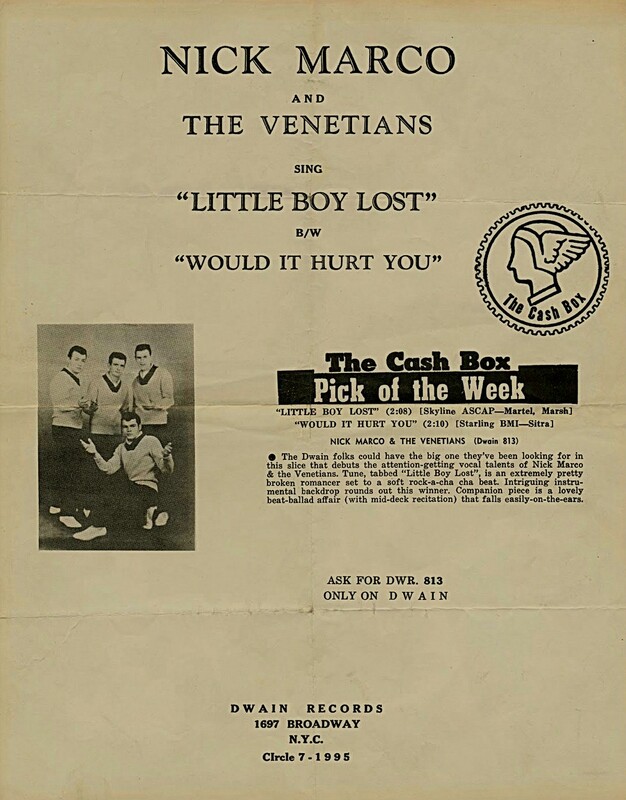 Jim Gribble recorded two sides_Little Boy Lost/Would It Hurt You. 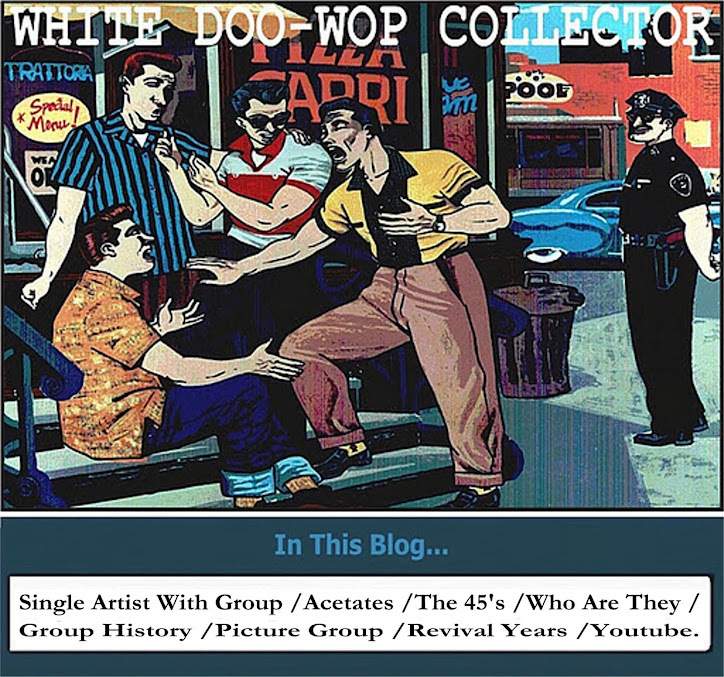 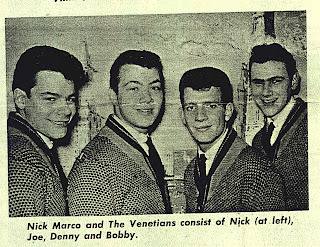 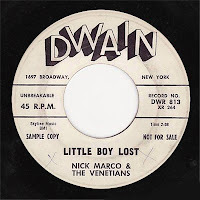 Jim acretited the songs as by Nick Marco & The Venetians and sold the master a one small company,Dwain Records who released the songs in 1960 but without promotion this dead soon and the group never recorded again.